The Business Company Organization chart demonstrates the structure of a company and the relationships between the personnel. Unlike the Corporate Organizational chart which usually only describes the position within the structure of the corporation, this one also lists the people in every role. Business organizational charts vary greatly from a company to company due to structural differences and product or service line. Nonetheless, this free Business Company organizational template can give you an easy start. 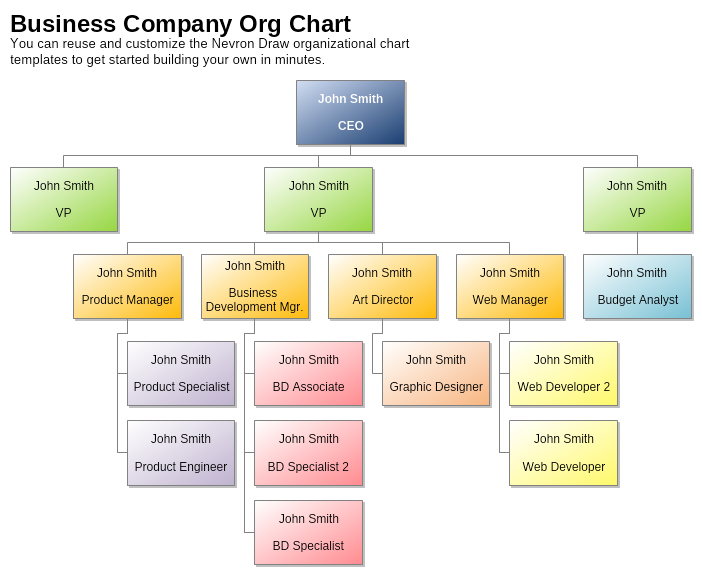 Download and modify it with Nevron Draw to quickly visualize the structure of your company.